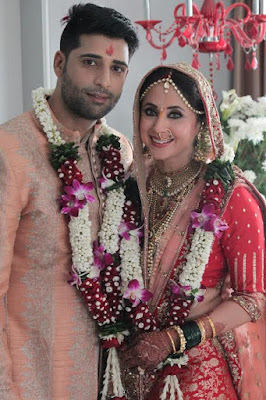 3rd March, 2016: Actress Urmila Matondkar known for her stellar roles in films likeRangeela, Satya, Pyaar tune Kya Kiya and many more- tied the knot a while back with Kashmiri based businessman & model- Mohsin Akhtar Mir in a quiet wedding ceremony. Unlike the typical star studded weddings of Bollywood stars, the couple kept it simple and private. A close friend of the Rangeela star, Designer Manish Malhotra was the only Bollywood personality present at the wedding. Without divulging in more details, Urmila Matondkar says “We kept it a exclusive wedding with just family and friends at the celebration. Since our families wanted the wedding to be a low key affair we mutually decided to keep it private. We seek your blessings on embarking this new journey of our lives".